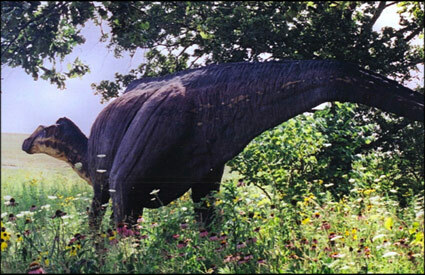 Lost World Studios is proud to present the most realistic dinosaur exhibits ever assembled - available for an unforgettable exhibition at your museum or botanical garden. "We were looking for an exhibit that brought in a wide demographic while still being true to our mission. 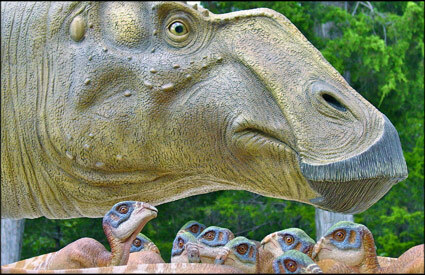 Guy’s dinosaurs “filled the bill” – they are scientifically accurate and exquisitely detailed. Guy’s exhibit created an unexpected frenzy in Orlando and attendance surpassed the prior year by more than 105%! Thank you Guy for a great, no, a FABULOUS show!" Come visit us at Lauritzen Gardens. Come visit us at Flamingo Gardens. Davie, Florida. May 25th to Sept 2nd, 2019. Bring the excitement and beauty of the prehistoric past to your garden! Enter the world of a baby dinosaur.